ACFO has accused the Government of making “a tax grab at the expense of the company car” following the Autumn Budget announcement of an increased diesel supplement for company cars. The Chancellor’s announcement last week means that from April 2018, the company car tax diesel supplement will go up by one percentage point to 4% for cars not meeting the RDE2 standard – however no such cars are currently available. In ACFO’s post-Budget webinar – the first of a new series – deputy chairman Caroline Sandall expressed the organisation’s concern that the Government is not taking a holistic approach when focusing on reducing transport emissions across the board to improve air quality. 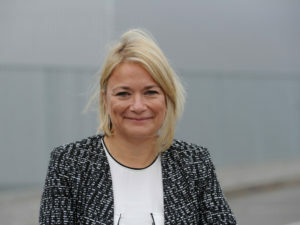 Ms Sandall, who chaired the autumn Budget Statement-focused webinar, said she was concerned that the Chancellor was making “a tax grab at the expense of the company car” and by ignoring other vehicles was not taking a holistic approach when focusing on reducing transport emissions across the board to improve air quality. Sandall has also urged fleet decision-makers to look at bringing forward diesel company car replacement cycles as soon as Real Driving Emission 2 (RDE2) models become available to enable drivers to reduce Benefit-in-Kind tax bills, while employers save on Class 1A National Insurance contributions payable on the Benefit-in-Kind bill. However, Sandall welcomed Budget clarification that there would be no Benefit-In-Kind tax charge on electricity that employers provided to charge employees’ electric vehicles and also greeted the extra funding for ultra-low emission vehicles.